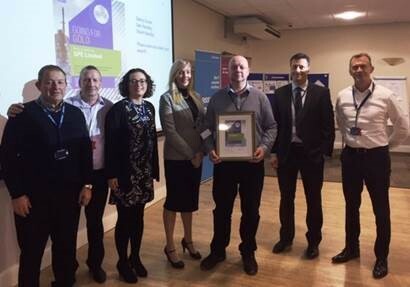 Thursday 22nd November was a big day for SPE when it became the first supplier to be presented with a Silver award as part of Rolls-Royce Submarines going for Gold programme. The award recognises the achievement of Class Leading performance and the culmination of 12 months of collaborative effort. Rolls Royce’s Integrated Score Card (ISC) paints a convincing picture of the impact made this year. The ISC approach scores a supplier’s performance in five areas; Quality, Delivery, Cost, Management & Technology. September 2017 saw SPE’s overall ISC score at 71%, a year later SPE are at 98% and looking to close the year at 100%. Stepped changes in 2018 have been multi-faceted. Cross functional teams have participated in Relationship Management Reviews, Value Stream Mapping (VSM) exercises, close order book management, joint problem solving and SPE becoming the first machining supplier to introduce Customer Release Inspectors (CRI).